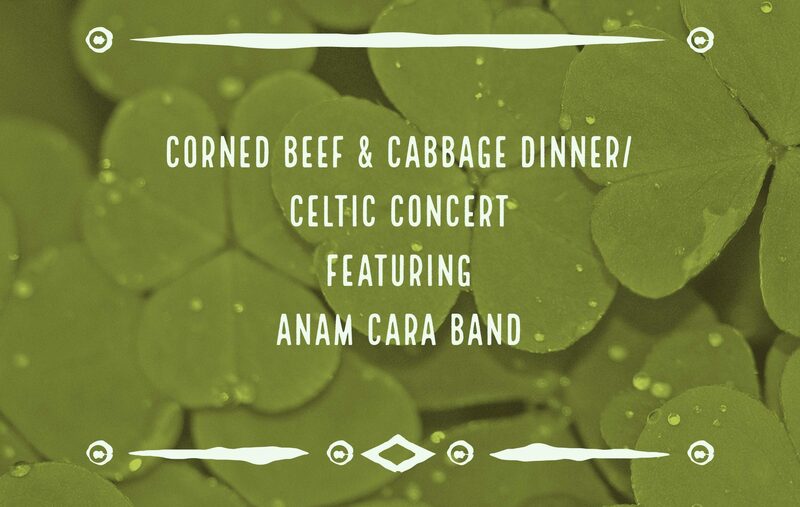 Traditional corned beef & cabbage dinner followed by a Celtic concert featuring the Anam Cara Band. Tickets are available from the Church Office in advance for $25 adults, $15 youth, $5 under 10. Call (860)399-9367 to reserve your tickets now!